Guess Vikky Large Zip Around. 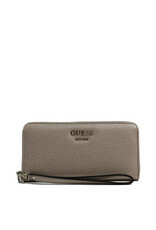 You need this gorgeous purse from Guess in your life! Details include a gorgeous pale bronze crocodile skin style fabric all over, and a detachable wrist strap. 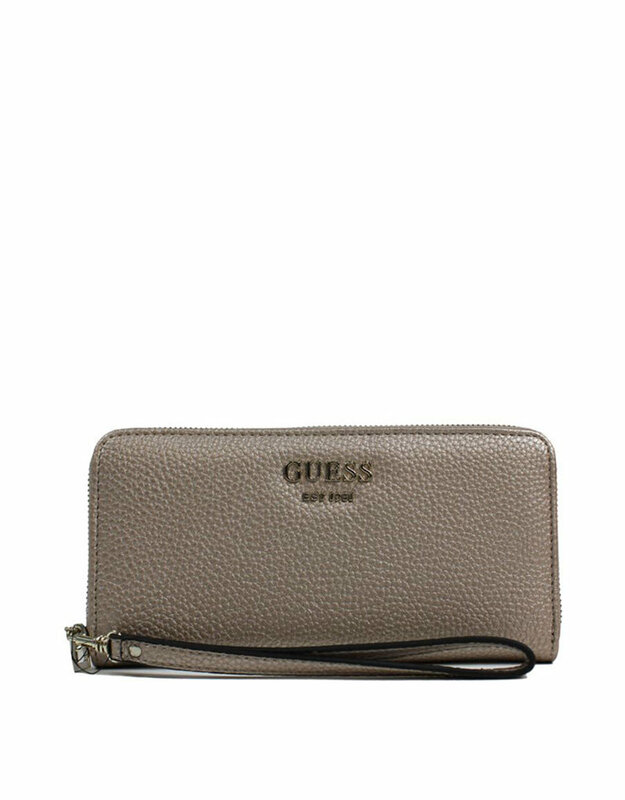 Features 3 main inner compartments with two card slot sections and a middle zip compartment for coins, as well as an external zip compartment on the back.